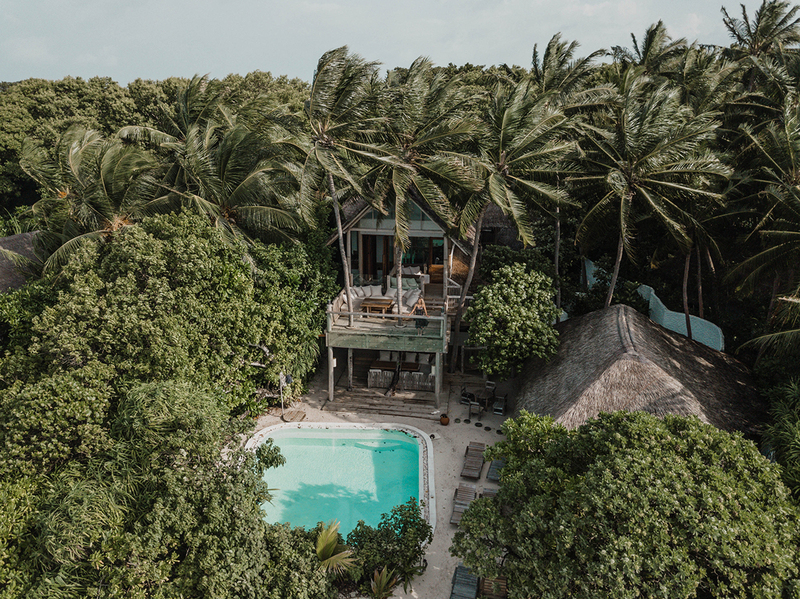 Let me start by warning you that this is an extremely long blogpost about Soneva Fushi, because there is so much to share with you about my experience on this incredible island that I just can’t find a way to cover everything briefly! 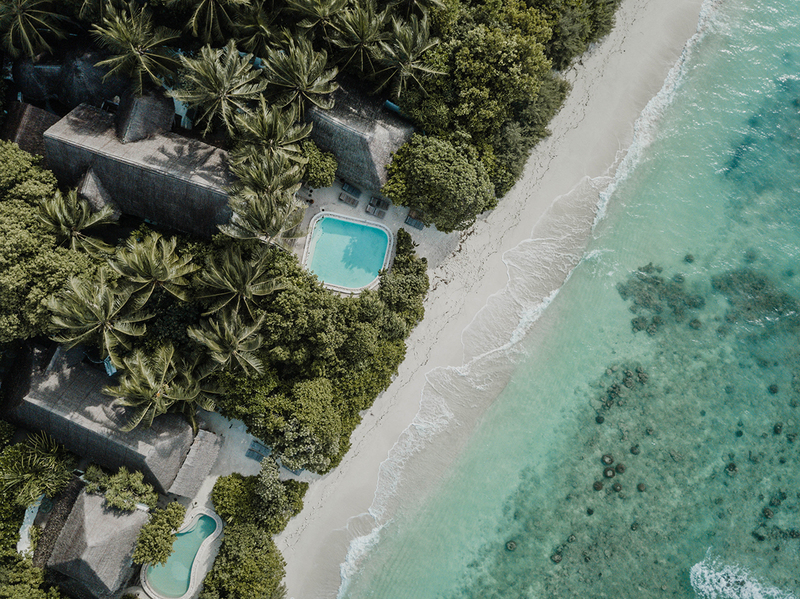 My adventure started back home when I received an email invitation to create a ‘My Soneva Preference list’, where I could indicate my taste, ranging from my musical, culinary (from wine to ice cream!) and even my pillow preference. 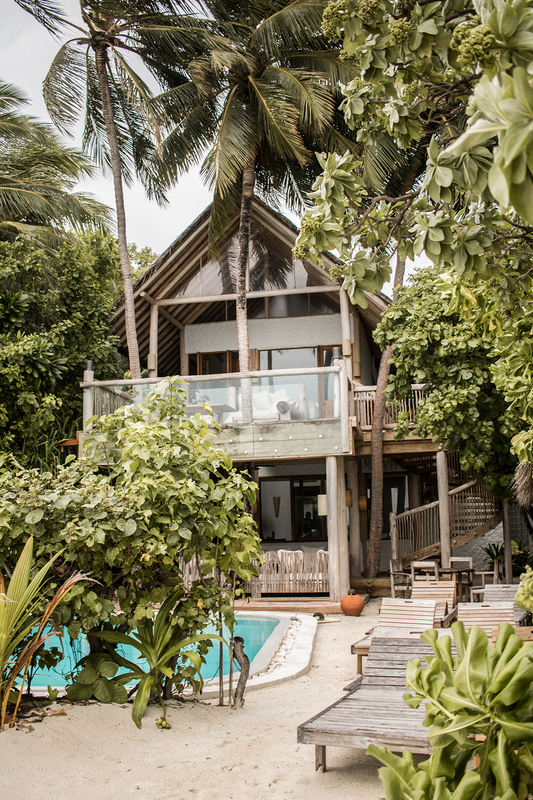 This list was my first indication that Soneva Fushi offers a whole new level of service. 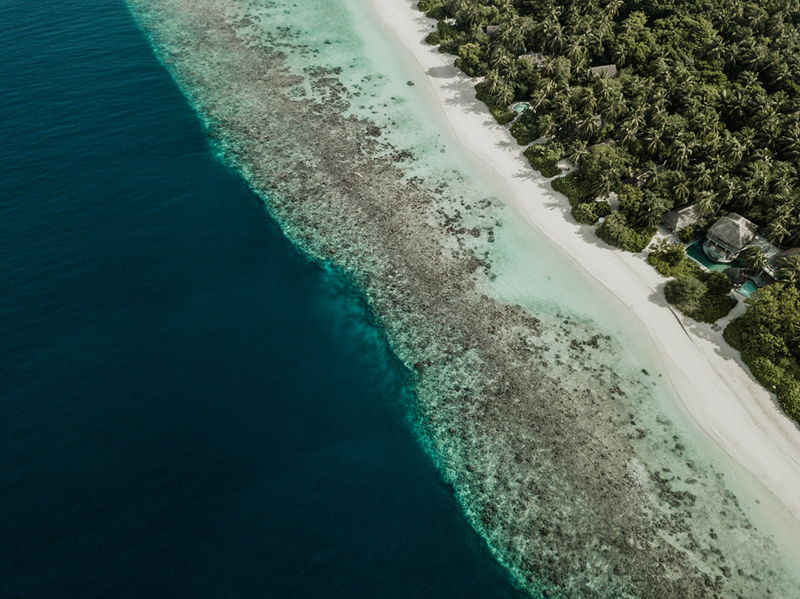 There are two ways to get to Soneva Fushi. Normally, you take a seaplane that lands near the island and then take a short boat ride from the plane. 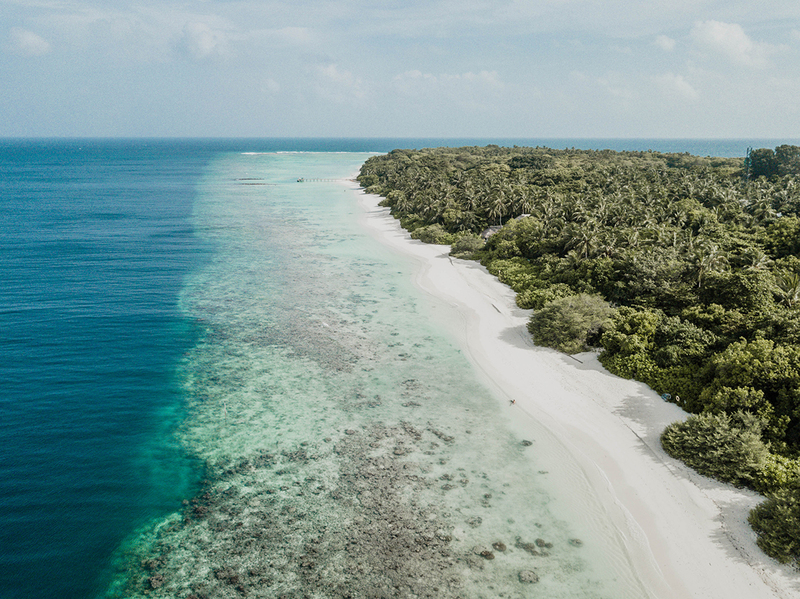 This time, since the weather had been rough and the seaplanes couldn’t land on the choppy water, the friendly folks from Soneva that awaited us at Male International Airport booked us on a short local flight to an island near Soneva Fushi. From there we were swiftly brought to a speedboat, which I think is an awesome form of transportation on any day. On this particular speedboat, things went island style in a hurry: first, a smiling crew member handed us refreshing wet towels, fresh young coconut water and a small bag that said ‘no news, no shoes.’ We dutifully deposited our shoes in the bag and for the entire time we were at Soneva Fushi, we didn’t wear shoes, truly sticking to the Soneva credo barefoot luxury with Robinson Crusoe simplicity. The cool thing is, everyone else we saw on the island was barefoot as well! At breakfast, lunch or dinner, biking around the island or just hanging out, everyone was barefoot and happy. 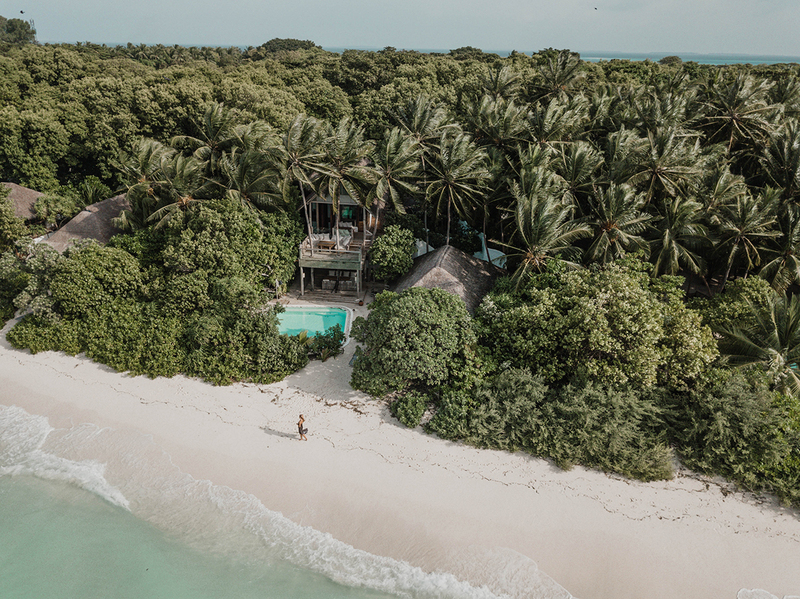 Soneva feels incredibly relaxed, not just because of the beautiful location in the Maldives, the lush vegetation on the island and the lovely weather, but because it oozes this vibe of a tropical resort in another time, another era. One of the factors that contributes to this ‘turn back the clock’ feeling, is the lack of any four wheeled transportation. All the staff members bike around and even our suitcases were brought to our villa by bicycle! Once I set foot on the island, all I heard was the sound of the wind through the trees, the birds chirping and the waves crashing on the beach. 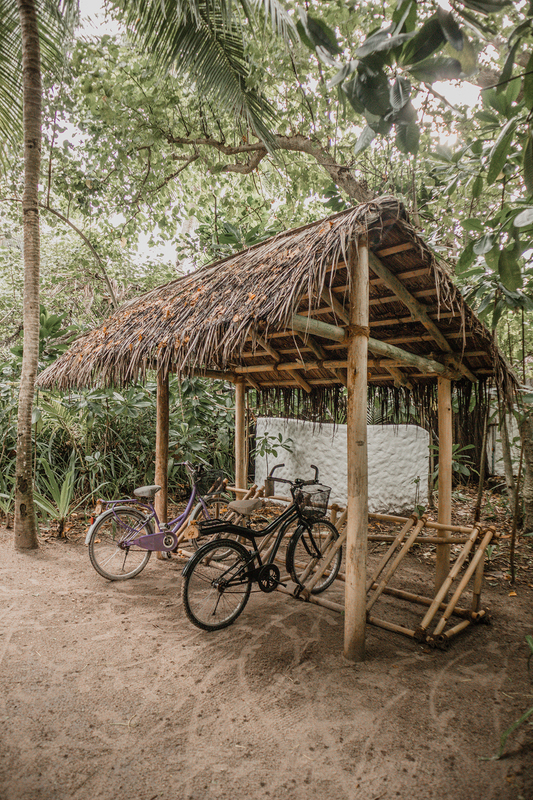 Every visitor gets a personal bike, with a tiny license plate with the number of your villa. Then if you return, that license plate with a number is replaced with a license plate with your own name on it… talk about a vanity license plate! 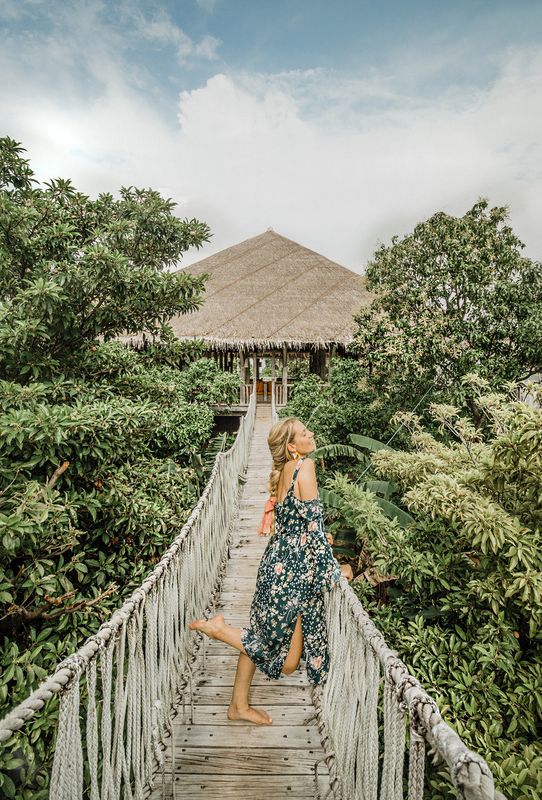 As we were biking around barefoot on this beautiful tropical island, we discovered that Soneva offers some of the most amazing attractions I have seen on my travels. 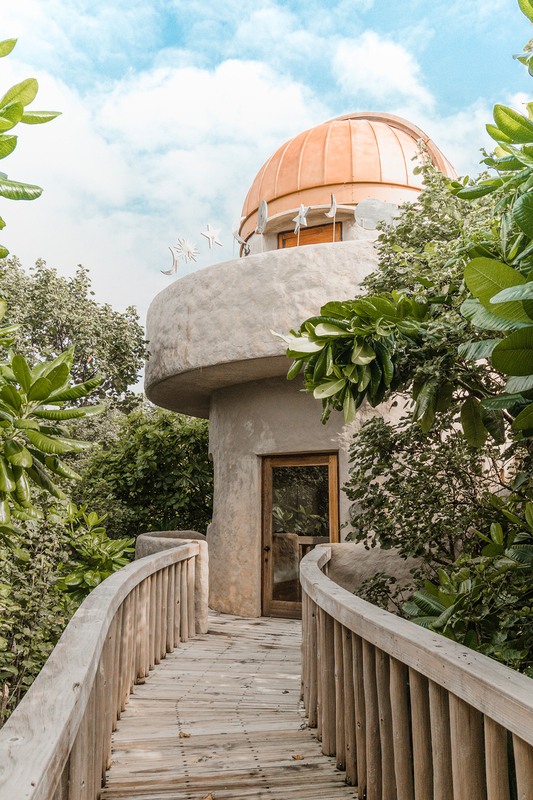 Not only are there incredible restaurants, a wonderful spa and a yoga pavilion, but where else can you visit not one, but two gardens where herbs and vegetables are grown for those restaurants, an open-air cinema, a glass studio where all the bottles from Soneva Fushi and surrounding islands are ‘upcycled’ and a private observatory to gaze at the stars?! 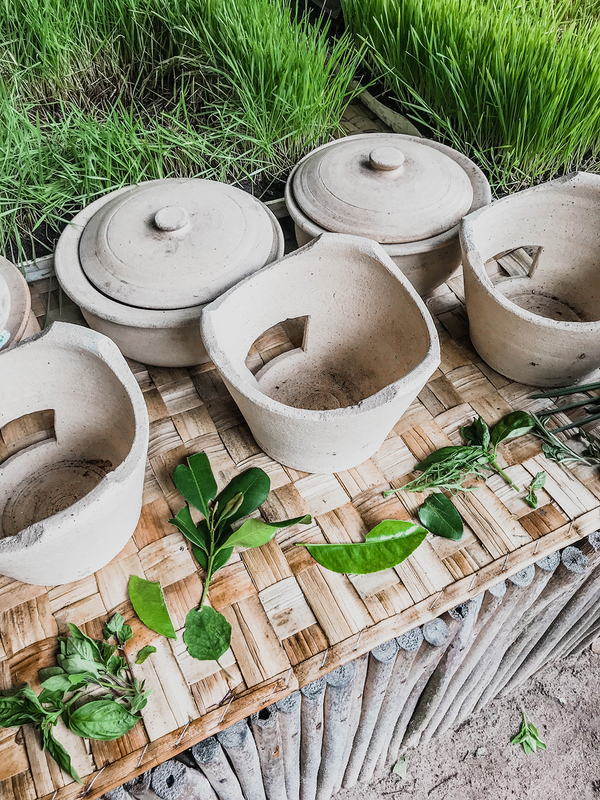 Waste to wealth, that is the theme behind the philosophy that the Soneva founders adhered to as they were developing their truly eco friendly resort. 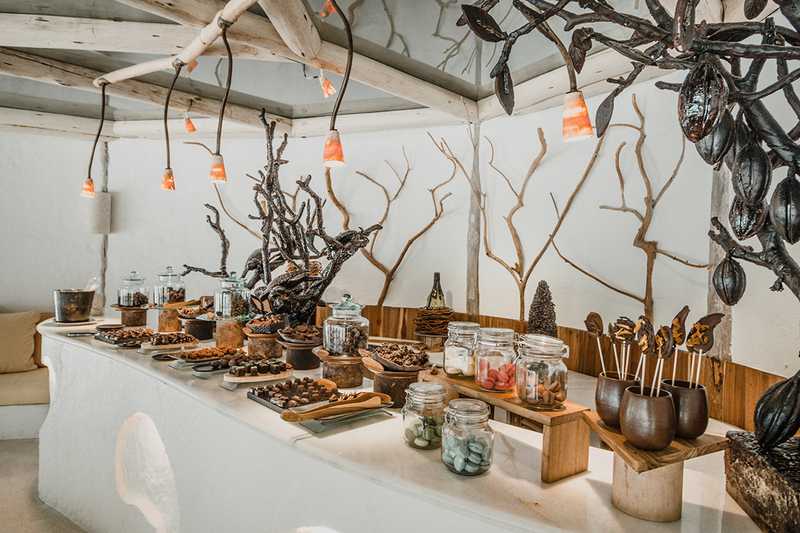 With an entire recycling installation run by the world’s first ‘waste to wealth’ manager Gordon Jackson, where the remains of coconuts and trees are even used to create charcoal ice icecream, this philosophy has really come to life. To me, waste to wealth also describes how I felt as I was ‘wasting’ time there and feeling like a princess just enjoying a young coconut, staring over the ocean. 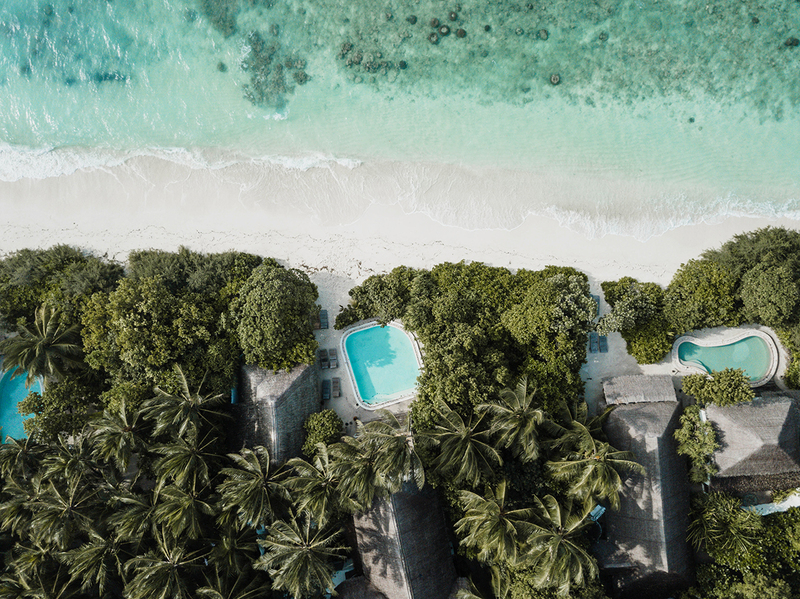 Because as much as the island is the frontrunner in the global trend towards responsible and sustainable travel experiences, you would almost forget that this is a phenomenal vacation paradise. The kind gentleman that handed us the ‘no news, no shoes’-bags on the speedboat turned out to be our personal assistant for our entire stay, or our own ‘Mr. Friday’ as it’s called on Soneva Fushi. He somehow made sure that every time we went to breakfast or dinner, our villa was brought back to pristine condition by so called ‘invisible hands.’ We saw them bike around the island waving at us, but we never caught them working at our villa. 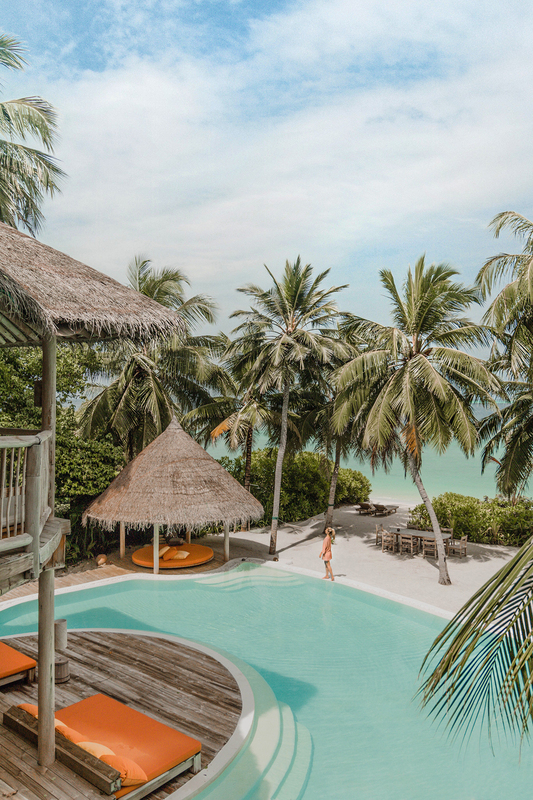 Everyone at Soneva Fushi is so friendly, professional and truly happy, that it did not surprise me that many staff members have worked there for more than 20 years, since the resort opened. 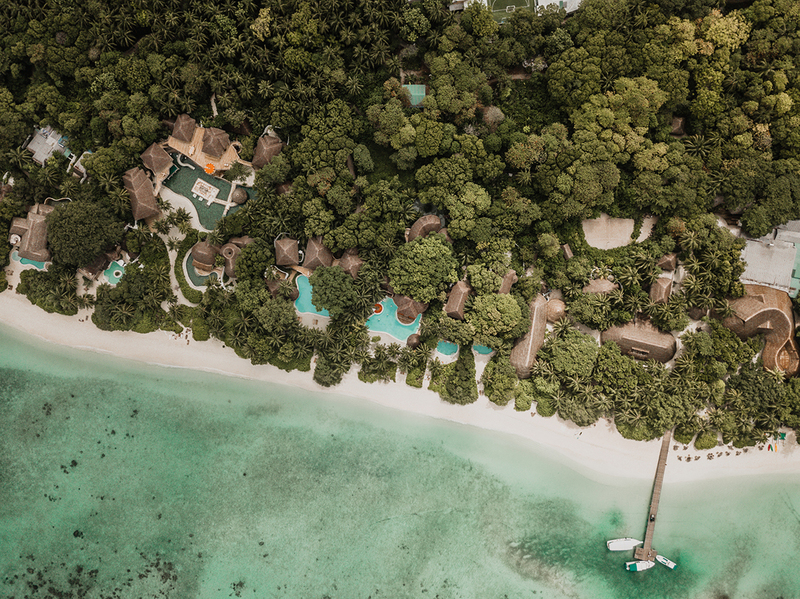 Ah, the villa… our two-storey beachfront villa was hidden from the path that led to it through the lush forest. 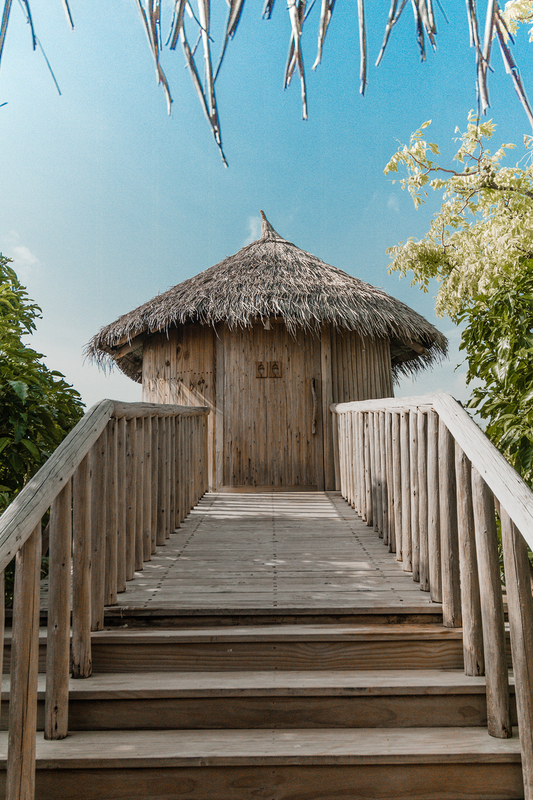 Privacy is guaranteed here, simply by the way the villas have been designed to blend with the abundant nature. 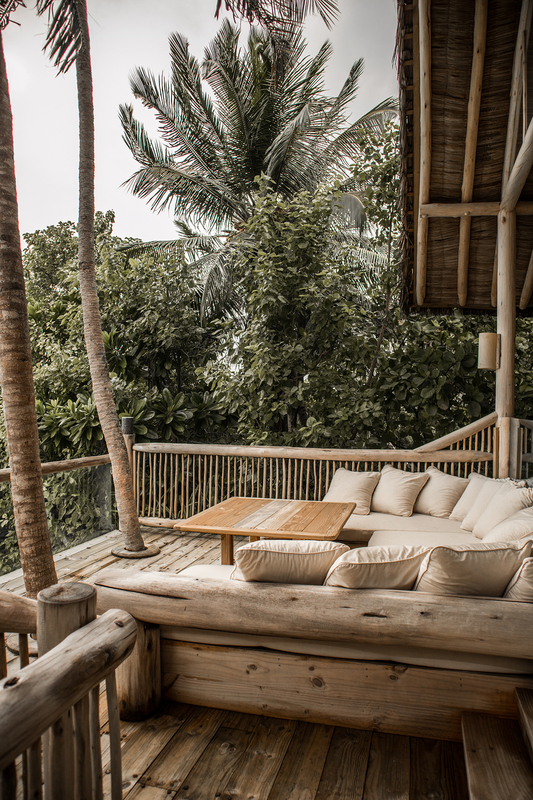 All villas are built from locally sourced materials, with palm-leaf roofs, whitewashed colors and large windows to enjoy the stellar view. To enter, we walked in through two gigantic doors that led to the spacious living room with cathedral ceilings. 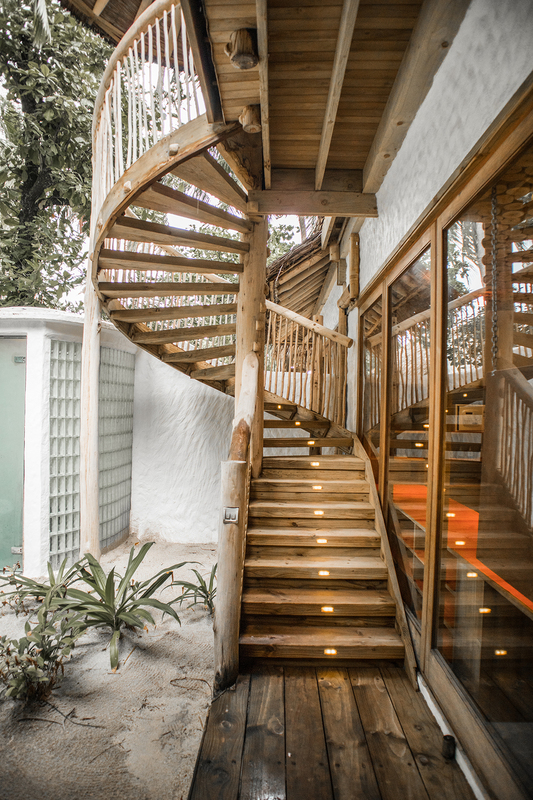 We walked up the wooden spiral staircase and settled in the beautiful master bedroom, thoroughly enjoying the huge walk-in closet which was the size of a dressing room. 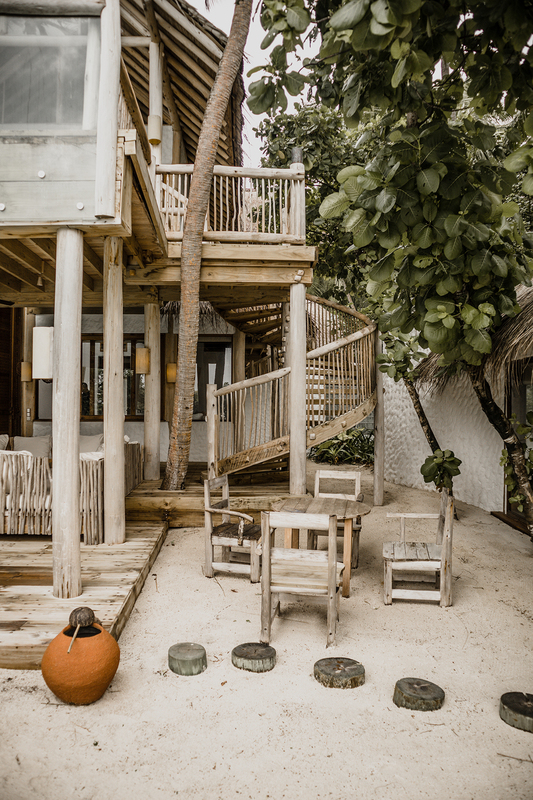 The entire time we were on Soneva Fushi, we were wishing we could have brought our families and friends to enjoy the other two remaining bedrooms and bathrooms, including one enormous open air bathroom in the back yard. 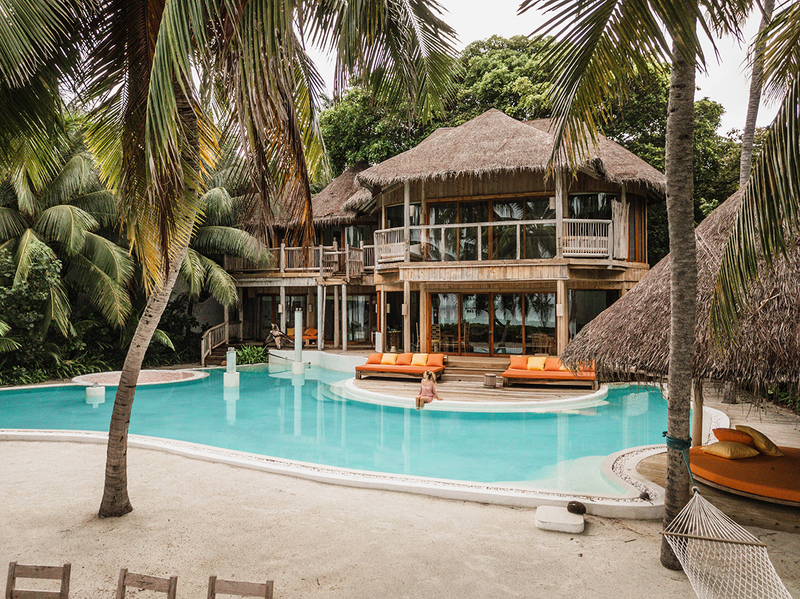 It was hard to imagine that this was actually one of the smaller villas on the island, because there is even a 9-bedroom private reserve with its own lagoon, which is basically a village in itself! We really enjoyed walking from the front yard straight onto the beach in the morning with a fresh cup of coffee. The choice to take a dip in the ocean or the pool was always a tough one! I’m a bit embarrassed to admit we never used the Technogym equipped private gym in the back. We also never used the kitchen, but there is a very valid reason for it! 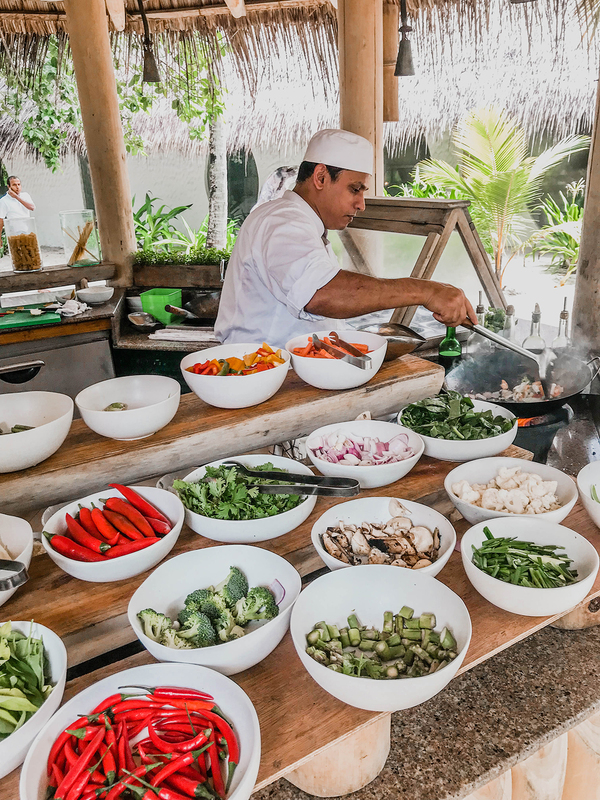 The food offerings at Soneva Fushi are just stellar, for breakfast, lunch, dinner or anytime between those meals. And when I say anytime, I mean anytime: the boyfriend couldn’t stop marveling at what he called the ‘happy rooms’, two rooms that are open 24 hours a day, one filled with the most exquisite cheeses and hams from around the world, the other stocked with chocolate treats and desserts and fresh ice creams in the most surprising flavors. Remember the waste to wealth recycling station? You can find its charcoal ice cream right here, along with dozens other tropical flavors. 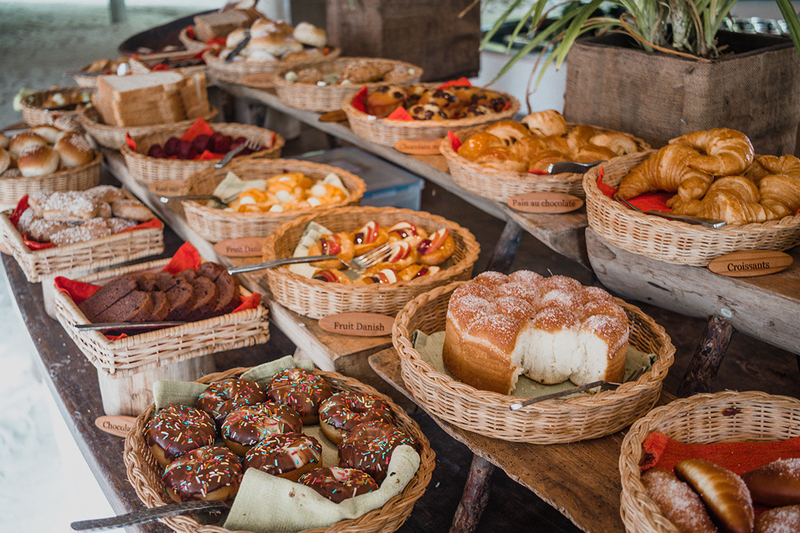 Guests can wander in at any moment and pick whatever they feel like snacking on! Although I am not an expert of fine wines, I feel comfortable saying there is also a fantastic wine cellar with fine wines from around the world that will please the most critical connaiseur of fine wines. 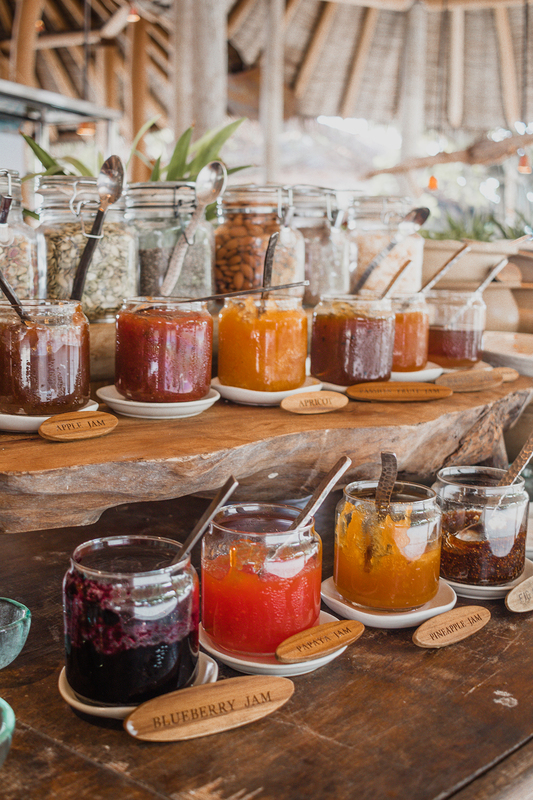 I can definitely say that I have never visited a resort that offered such a diverse culinary selection. 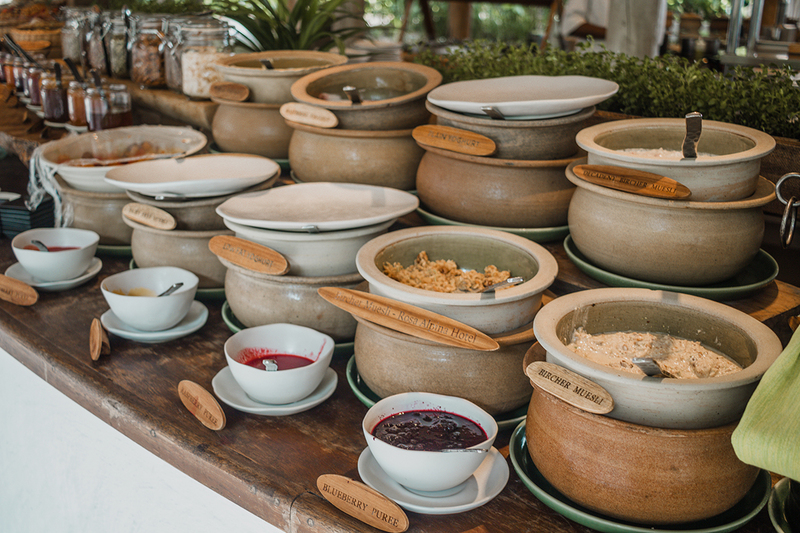 The breakfast buffet offers every imaginable choice, ranging from more Western to Asian breakfast offerings: breads, jams, pastries, crepes, pancakes, cereals, juices, smoothies, teas, yoghurts, congee, porridge, omelets, it’s an endless list. Presented outside underneath the large trees, it is a wonderful way to wake up and enjoy the morning. I could keep gushing like this about lunch, which might become a long boring list so let me summarize that everything is fresh, there are countless vegetarian options, meat, fish, poultry, basically everything from a salad bar to a wok station to sushi and wood-fired pizza. Couldn’t resist: almost started a list of all the food options again! 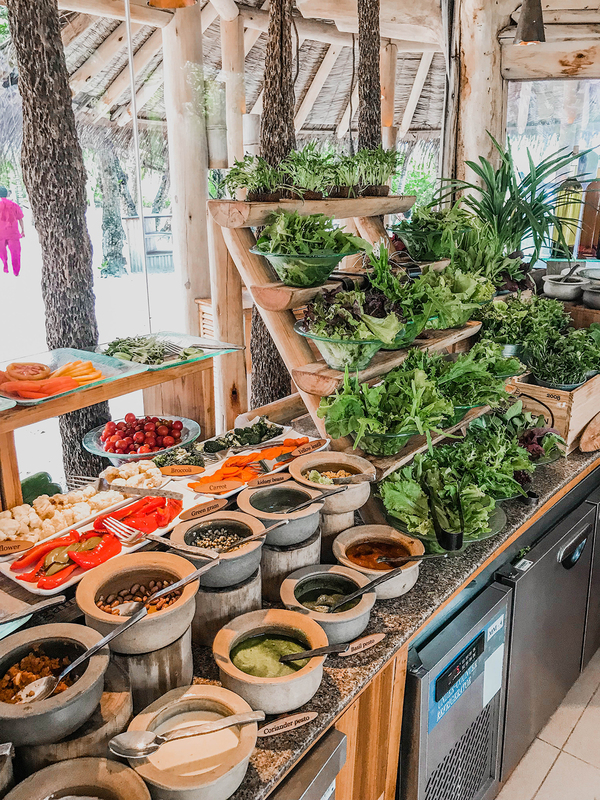 This should give you a fair idea about what to expect for dinner… there is just so much to chose from and it’s all fresh and of the highest quality. 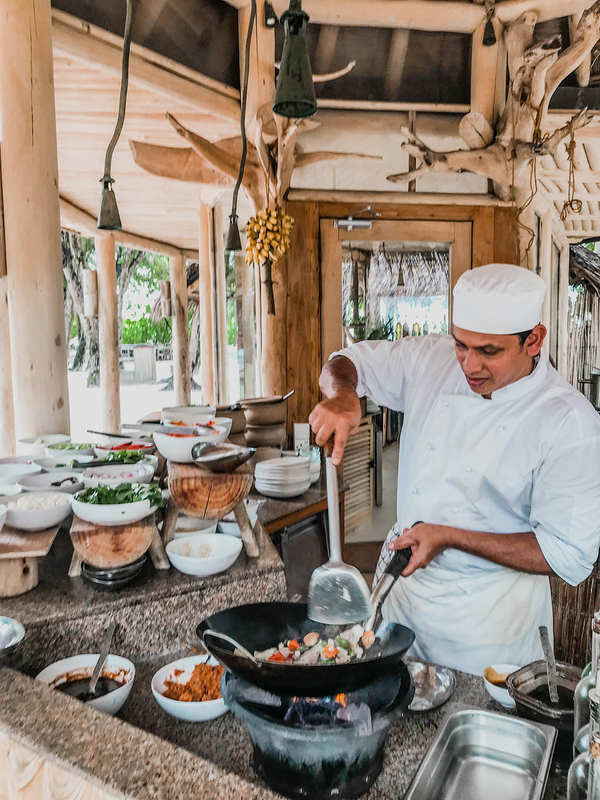 Everything and everyone at Soneva Fushi is of the highest quality and the chefs there are definitely the cream of the crop. 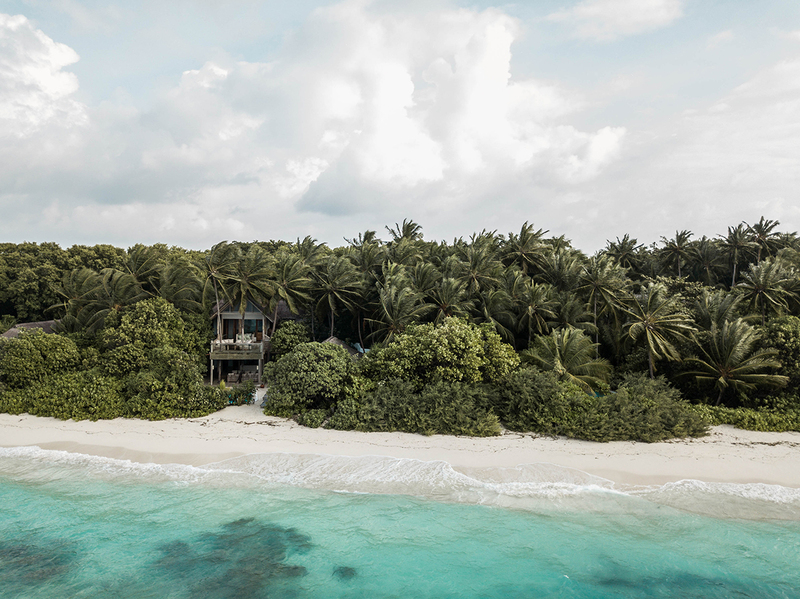 I could go on and on about features like the new kids club, the new eco surf program, the diverse spa menu and amazing restaurant above the canopy, but let me just close by saying that if you believe that luxury travel can be ethical and sustainable, you must visit Soneva Fushi at least once in your life. 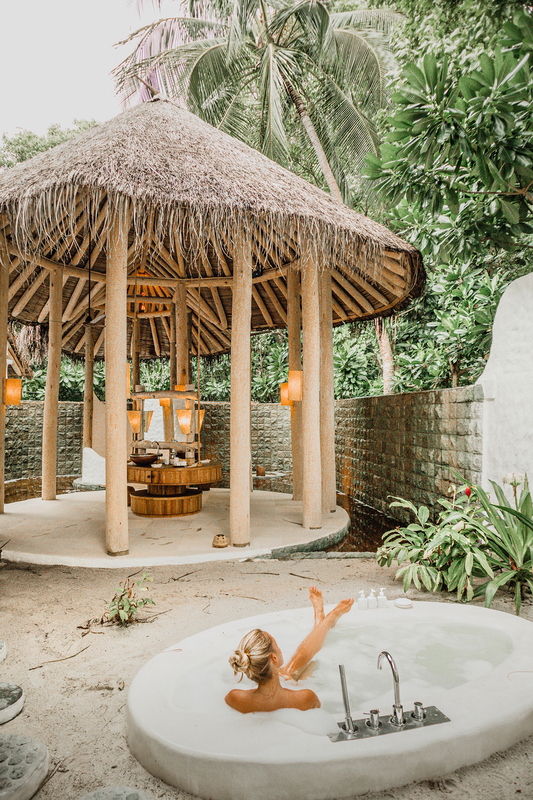 It is the ultimate destination if you ever want to enjoy life according to the Soneva acronym: SLOW LIFE (Sustainable-Local-Organic-Wellness Learning-Inspiring-Fun-Experiences). 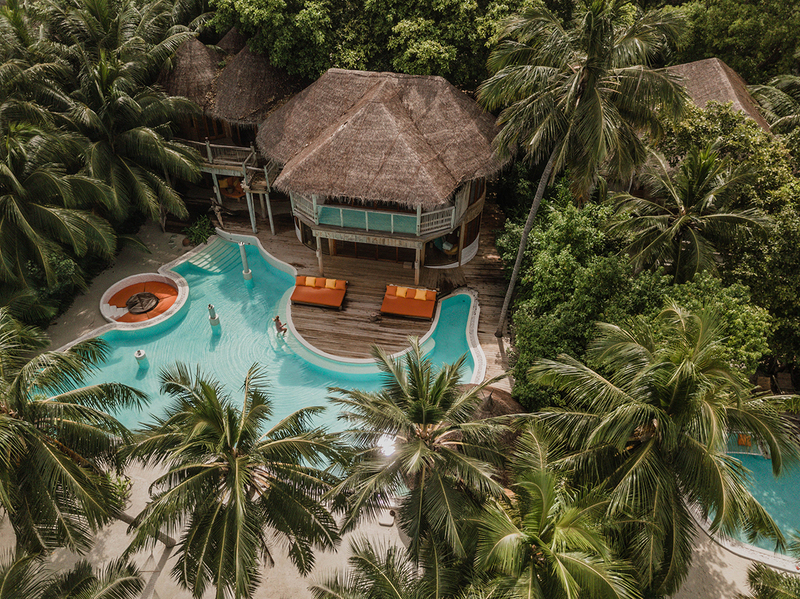 Posted in Geen categorieTagged BAREFOOT LUXURY, maldives, Soneva FushiBookmark the permalink. It looks like paradise there. The house is so pretty, and I love how clear the water is. This is totally my type of vacation. The island looks beautiful. Isn’t this the ultimate dream destination? WOW. Everything on the photos just looks beautiful. OMG, this is the dreamest place ever! I loved each and every photo. SImply stunning! Food loos so good, that I just got hungry. I love the ethical aspect too.